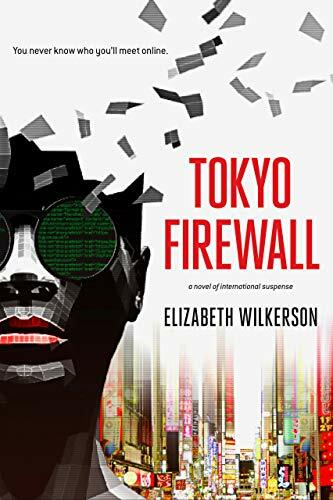 Come out and hear Elizabeth Wilkerson talk about her new novel, Tokyo Firewall, an intriguing story involving the early days of the Internet in which privacy, cyber chat rooms, and the dark web entangle an outsider being pursued by an online stalker on the rise. Reserve Early & Save!!! Elizabeth graduated from Harvard (AB '80) where she was president of the Harvard Radcliffe Dance Company and received the Prince Philip’s Royal Academy of Arts Silver Medal Award for her artistic contribution to the University. After dancing professionally in New York, she obtained her JD and MBA degrees from Stanford then moved to Tokyo where she practiced securities law and established an entertainment production company to present contemporary African-American artists to Japanese audiences. Returning to the States during the birth of the World Wide Web, Elizabeth became one of Silicon Valleyʼs first cyber-lawyers. She continues her work as a cultural ambassador through her company, Tidepoint Pictures, a movie distributor that releases cutting-edge Asian motion pictures, as well as through her disability rights activism.